Everyone knows how online booking works these days. A small deposit is collected from the guest at the time of confirmation. If you use one of the services that requires you to manually confirm bookings, contact your guests, and get deposit monies yourself, then your booking method is still in the stone ages. And believe me, there are still quite a few of this type of reservation service that claims “instant booking”, but cannot deliver. Furthermore, if your online booking method involves a Paypal interface, know that this method still does not work for guests in many regions around the world. You might also have heard that a Paypal payment interface instantly signals to many that your website is amateur and unprofessional. This is not exactly the reputation you want to develop for your website. First, let me tell you that you absolutely need a professional third party service that is able to collect more than just Visa and Mastercard. You need a service that is able to collect at least 4 major global card types. If you feature online booking on your own website, know that almost all booking services are able to collect 5-10% deposit for your bookings. But is this enough? No. You should be collecting from 30% to 75% deposit for every booking taken on your website. This is for 2 reasons. One, guests who have found your website, and are interested in booking with you are serious about staying with you. They know that if they’re paying on your website, they’re going to have some personal interaction with you, and their reputation is on the line. Fraud transactions on a hotel’s own website is low. Second, since you know the guest is serious, you want to collect a reasonably high deposit to secure their booking, and eliminate any possibility of problems in the event of a cancellation or no-show. Instant World Booking recommends collecting either 35% or 50% as the optimal deposit for most hotels, hostels, and bed & breakfasts. Instant World Booking is one of the only services that enables you to collect more than 10% deposit at time of booking. In fact, they can enable collection of up to 100% of your bookings at reservation time, effectively enabling you to collect credit cards right online from your own website. Instant World Booking takes this service one step further, offering full no-show and cancellation protection. With this service, Instant World Booking guarantees you receive your deposits, even in the event that a guest cancels late or does not show up. We’ve been giving the latest on some controversial topics about marketing your hotel or hostel online. We uncover the world of online booking and marketing in a way that hasn’t been done before. Check out more advice at our blog. We’ll lead you to the most effective and low-cost solutions for marketing your property. 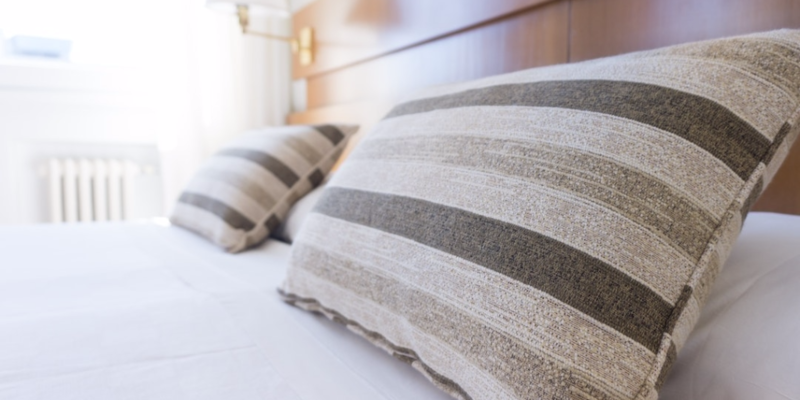 This is the first in a series of articles which will enable you to answer the most fundamental of questions: How much is your hotel or bed and breakfast worth? Protecting the value of your small hotel or bed and breakfast is a primary goal of your business. But, whether you’re new to the lodging business, an experienced innkeeper, or just looking to buy or sell your property, one key piece of information remains critical. How much is your hotel or B&B worth? Whether your property is located in North America, Europe, South America, or anywhere in the world, the basic factors to consider are largely the same. But how do you begin to calculate the value of a tourism or lodging business? This is the first in a series of articles we will publish, giving you some new and leading edge techniques on how to value a lodging business. In this and our future articles, we will reveal some unique methods to determining the value of your business. Better yet, these methods can also be applied to most small businesses. If you need to articulate the value of your business in purchase or sale negotiations, we will provide some excellent methodologies to quantify the true market value of your property. If you’ve looked for advice on calculating a price or value for your small hotel or bed & breakfast, there is only sparse information on the internet. Some resources deal only with the value of your real estate. One so-called “Inn Sales Specialist” advocates a method of determining an inn’s market value by dividing last year’s net operating income by a “cap rate” of 9% – 12%. These are extremely short-sighted methods of estimating value. Another highly simplistic method would be to take your net annual profit, and multiply by 14, which is the average price-earnings ratio of publicly traded companies over the last century. These simplistic methodologies are not without value, however. There is no single way which will lead you to one absolutely correct theoretical value. What you do want to do, however, is try several conceptually sound methods, and then examine the range of results for consistency. Don’t ignore qualitative objective measures either. For example, consider prevailing real estate values in your region, condition and quality, and potential for growth. If you recently purchased your property, consider the price you paid (the presumed market value at the time) plus or minus value-changing modifications that you will implement with your business plan. So how do we measure the market value of your business? We look to sources that traditional real estate professionals and B&B sales specialists ignore, or don’t understand. We utilize corporate finance techniques, taught at top business schools, but almost never applied to hotel, hostel, or bed & breakfast businesses in the classroom or in practice. These are the same techniques use by stock market analysts to value Fortune 500 companies. In fact these techniques were adapted from advanced shareholder value studies originally developed by an expert while working at JP Morgan Chase, and now is a leading specialist in online hotel marketing. Combining these traditional corporate finance concepts with some new arithmetic, we will show you how to easily compute an estimated market value for your hotel, inn, or bed & breakfast. Where NI=net income, BV=book value, Ke=cost of equity, and G=growth rate. We will show you how to use this simple formula to calculate the estimated value of your lodging business. We won’t get bogged down with complicated mathematical proofs. The formula above is rooted in very sound financial theory, which we won’t waste your time by explaining. What we will do is show you how to move quickly past the complicated financial theory, and use simple math in calculating a very useful number: the value of your hotel or B&B. One quick homework assignment before proceeding to our next article. There are two values you need to come prepared with, net income (NI) and book value (BV). Net income is the annual after tax profit of your business, after considering all relevant business expenses and income taxes. Make sure you adjust your net income figure for any one-time or unusual expenses you may have had during the most recent year. Secondly, book value is the book equity, or invested capital, in your business. How much cash capital do you have invested in your lodging. This includes any original equity investment you have in your property, but does not include capital that you borrowed to invest or purchase assets. Another way to think of book value is to construct a simple balance sheet. Add up the total value of all your assets, then subtract any borrowings or debt used to acquire those assets. What remains is the book equity, or book value, of your business. Once you have these figures, please look for our next article, where we will explain how to use the formula to compute the value of your business. Why is InstantWorldBooking.com better for online booking and marketing your property? The answer is simple. We bring more features, better technology, and lower costs than any competing provider. It is widely known that a correctly executed online booking and marketing strategy can increase a lodging’s profit margin by at least 20% in the first year. Here are the top ways Instant World Booking helps you achieve your income goals. Cost is always the primary concern when selecting online marketing services. You already know some of the big names in online booking for B&B’s, hostels, and hotels. One of the biggest online providers for budget properties charges 10% commission. Others charge even more. For example, in the bed and breakfast market one big provider charges 25% commission, plus an annual fee ranging from $99 up to over $500 annually. Stop overpaying for online booking and marketing. Instant World Booking commissions start at only 8%. There are no membership fees. What about costs for a booking engine on your website? Again, one of the biggest budget providers charges you 10% for one booking each day, and 2.5% thereafter. Your cost is therefore between 2.5% – 10%. Two other major players in this market charge 5% and 9% respectively. In the bed and breakfast market, the biggest provider charges as much as 30% commission, arguing that 70% of any booking is better than no booking at all. You already know who these players are. Stop overpaying for booking engines on your website. Instant World Booking commissions start at only 1.9% for a fully integrated booking engine on your website. Here’s a little know fact about online booking services. Of all the providers mentioned, only Instant World Booking can set you up to accept credit cards from your own website. Of course, we’re not naming names. If you think you have a better arrangement at a better price from another provider, just call us. We’ll be happy to discuss how our integrated booking and credit card collection service is not available anywhere else. And, our integrated booking engine will cost you less than if you try to acquire credit card services yourself. No matter what region or country your property is in, you can accept credit cards and online bookings from your own website today. In combination with a customized booking engine on you own website, Instant World Booking offers full no-show and cancellation protection for your reservations. This means, if a guest cancels or fails to arrive, you still receive payments according to a cancellation policy that you specify. This service is so advanced that no other provider dares to offer it. No more worries about no-shows or late cancellations. We understand that getting your property to the top of search engine rankings is a priority. Organic search rankings are not enough any more. You need pay-per-click advertising to really bring in guests on the internet. When you use our instant booking service, Instant World Booking advertises your specific property name in Google pay-per-click campaigns. To set up a Google pay-per-click campaign can cost you hundreds and even thousands of dollars each year. This is a value that cannot be matched elsewhere. You pay nothing to list with Instant World Booking. Instant World Booking then develops and maintains a Google pay-per-click advertising campaign for your property that would cost you hundreds if not thousands of dollars. Even if you never received a booking, the public relations value of having your property advertised at the top of Google search pages has an intrinsic value that you could never achieve on your own without paying large sums. Again, no other competing provider offers this service. Instant World Booking offers a varied array of affiliate programs, arguably the most diverse set of affiliate options available today. For example, we offer affiliate programs for online booking directories, individual hotels, and other tourism websites. Our affiliate programs are fully customizable and can be fine-tuned to any online offering. We lead in online innovation. We recently introduced our Auto-Affiliate Program, the first program capable of being automatically set up in seconds on your website, with virtually no requirement for sign-ups or registrations. As an added benefit, our Auto-Affiliate Program pays an unprecedented 25% of earnings to the affiliate partner. InstantWorldBooking.com features one of the newest and most intuitive online review systems for guest travelers. Our ratings system includes a proprietary algorithm for weighting review components whether it be for location, guest services, dining options, etc. This results in a fairer basis for ranking properties based on guest satisfaction. As an added bonus, if you use Instant World Booking as your booking engine for your website, you can also feature your guest reviews on your own website. When you list your property for free with Instant World Booking, you get the benefit of simultaneously advertising on several of our highly targeted web portals. For hostels and budget lodging, HostelTraveler.com is a leading brand recognized worldwide. Similarly, for bed and breakfasts and inns, BedBreakfastTraveler.com is our premier B&B brand. We also include regional, country, and city sites in 6 continents, which span over 3 dozen web portals. We’re adding new websites every year. Our unique blend of regional and global internet branding is a strategy which you cannot attain individually with you own website, or with any competing online provider. Internet firms offer varying degrees of customer service for their hotel partners. At InstantWorldBooking.com, we support our partners through the listing process. Regardless of what assistance you need in getting set up, we can assist you through the whole process. For example, if you’ve never used instant booking before or worked with an online availability calendar, we’ll help you every step of the way in getting it set up. Other services leave you to contend with online help screens. Another service we provide which no other online booking engine provides are periodic notifications that help you keep your calendar up to date. We even let you know what types of accommodation guests are looking for, so you may best customize your availability calendar to match guests’ needs. Instant World Booking has published a lot of information about the benefits of using true instant booking on your website or on marketing sites. In fact, instant booking is a must if you wish to maximize your online capability to attract guests. Nevertheless, there are properties who for various reasons wish to use “request-basis” reservations. For those who require online requests, and not instant confirmation, we offer one of the most efficient and automated processes for accepting request-basis reservations. No competing service offers a highly automated process for offering both instant bookings and request-basis bookings. A well-executed online marketing strategy, including online booking capability, is now known to be able to increase a tourist accommodation’s profits by at least 20% in the first year. Instant World Booking is a recognized leader in online technology and strategy. Whether you are a novice just new to the internet, or you currently use a variety of online services to publicize your property, we can help you develop the right strategy. The correct approach for your accommodation can be a low cost, yet high impact strategy, carefully implemented. We offer any tourist accommodation that is new to our services a free consultation by telephone to help you develop the right online marketing strategy for your property. If you’re considering switching from another service, or looking to try online marketing for the first time, a one-half hour consultation, without cost or obligation, can change the way you think about marketing permanently. For your free strategy consultation, please call 1.941.866.0010 today, or send an email to info@instantworldbooking.com. Even if you have no intention of changing your current provider or approach, why not call us to find out how we can beat your current economics. Click Here to add your listing today. One way to gain respect and attention among your guests (and peers) is to display special concern for the safety and security of your guests. On everyone’s mind these days is safety, especially while travelling. Global terrorism threats and international tensions are heightened. We all know about increased security at airports and rail terminals. While the topic may not be relevant for all locations, be prepared to answer guest questions about security in your locality. Provide direct responses, and don’t avoid communicating about direct threats that may be present for travelers. Be sensitive to your international travelers. Know that foreign guests may be concerned about safety even if your location has no safety concerns. Provide recommendations and tips on areas to avoid, and how to stay safe while sightseeing. Provide a business card with your contact information, as well as emergency and police contacts. Offer to safeguard your guests’ personal property within your property. Acknowledging and being sensitive to your guest’s security will be appreciated, and interpreted by my most guests as a sign of intelligent and thoughtful management. Remember, when marketing your hotel or hostel (or your small business) online, adding services and useful content to your website is key. Follow this advice, and you will be going a long way to enhancing your online marketing efforts, as well as improving guest relations. 1) Can you collect more than 10% deposit online, or as much as 100% of the entire reservation? 2) Are bookings confirmed automatically online, or is manual review or intervention required? 3) Do you have no-show and cancellation protection? 4) Can you avoid having to obtain your own costly merchant account, and having to contend with chargebacks? 5) Do you have free setup, no support costs, no monthly fees, and no software upgrades? 6) If yes for all the above, is your total cost no higher than 5% of total reservation value? The answer to each of these questions should be YES. There is a wide array of booking engines and online marketing tools available today for hotels and hostels. Educate yourself first, and be smart with your questions, and smart with your decisions. Remember that any service looking to install software on your desktop computers are vestiges of 1980’s-style travel industry technology. To succeed in the competitive tourism industry of the new millenium, you need to purchase 21st century technology, and make sure you’re only paying 21st century costs. Remember that there’s more to taking bookings online than making the sale. You need to be able to accept credit cards online, and also ward off fraudulent activity with no-show and cancellation protection. Read more about the latest booking engines for your hotel or hostel website. Should you affiliate? The short answer is yes. But, let’s start by explaining what affiliating means. As a small hotel, hostel, or bed and breakfast owner, you should not fear affiliation. No, it does not mean that you are becoming business partners with someone, or selling shares in your lodging business. Affiliation in internet-parlance simply means that you join programs hosted by other web-based businesses to place links on your website. The links earn you money. Like advertising, these affiliate links direct your guests to pages where they can purchase products or services. The links track the clicks that you refer, and you earn a percentage of sales that you send to the affiliate company. So, why should you affiliate? As a hotel or B&B owner, you can easily earn enough income through affiliate links to pay for the entire cost of hosting your online presence, your website, domain, email hosting, etc. Why not run your online marketing presence for free. But, more than just earning a residual income, affiliate links can increase the popularity and traffic to your website. This is the number one goal of online marketing. How does affiliation increase the popularity of your site? By adding affiliate program links to your website of complementary products and services, you increase the interest-level and content of your website. Visitors will be drawn increasingly to your website if they have more interesting content to read and valuable services or products to explore and purchase. So, if you run a hotel or hostel website, add affiliate links offering car rentals in your city, rail passenger tickets, airline tickets, travel guide books, city tours, etc. See how it works? Your guests will not only return to your website to check out your rooms, accommodations, and services. They’ll return to your website, because they know they can find these other much-needed services there. So how do you get started with affiliate programs? Select the online company you wish to affiliate with. You’ll most likely find a link on their homepage on “affiliate programs” or “how to work with us”. For example, if you wish to host affiliate links to sell travel guides for your city or country, check out Amazon or Barnes and Noble’s websites. Most out of town travelers to your city will be carrying a travel guide when they arrive. So, why not be the one who sold it to them? Instant World Booking also offers an array of flexible affiliate programs. Their newest innovation, called the Auto-Affiliate Program, is new to the internet, and likely to cause a stir among company’s who affiliate. It’s called the Auto-Affiliate program because it’s the simplest affiliate program developed to date, and doesn’t require any lengthy sign-ups or online forms to complete in order to get started. You simply add some simple, pre-defined link code to your homepage, and your finished setting up. Instant World Booking then contacts you be email as you begin generating clicks and income. The other reason the Auto-Affiliate program is revolutionary is that you earn 25% of revenues on clicks you refer. This is the highest available today, which is astounding, considering how easy it is to set up. The vast majority of affiliate programs offered today earn just 5% – 15% of revenues produced. On a slightly more controversial note, should you affiliate with companies that offer competing services to your own? I already said that you should affiliate with companies offering complementary services, but what about competing services? Well, you would certainly not want to affiliate in such a way that would lead guests directly to book at your neighboring competitors. But, affiliating with regional or global reservation services can actually enhance your business. Think of it this way. If a potential guest has already found your website, and is browsing your service offerings, they will still consider booking with you, even if they have the option of browsing alternative hotels or B&Bs across your region. Most travelers will appreciate your foresight in offering the ability to book lodging across your region, especially if they’re traveling from city to city during their trip. The key to clinching the booking is to offer instant booking capability right from your website, but that’s a topic for another blog article. Bottom line, offering affiliate links to online reservation services will not hurt your business, and marginally increase your profits. Do affiliate with websites offering complementary services or products. Do seek affiliate programs offering the highest share of revenues. Do seek affiliate programs that offer easy set up and tracking. Don’t affiliate with websites offering un-related services or products to your own. This will make your website appear disorganized. Don’t consider affiliating with more complex methods than simple links, unless you’re using your website to provide a virtual storefront. As we begin this new blog, we’ve committed to bringing you the best advice on how to market your hotel, hostel, or B&B online. We thought it would be appropriate to start with a very basic tool that everyone knows about, almost everyone uses, but only some use properly. Introducing … EMAIL for your lodging business. Email, or e-mail as some dictionaries prefer, is ubiquitous. After all, this is the 21st century, and we’re talking about last century’s technology. Think of the automobile, a late 19th century invention. Well, how many of us were driving a Model T Ford in the last ten years. This is the concept. Technologies advance, and like the automobile, so has Email. For hotel and lodging technology, Email can practically make or break your business. But, Email is really simple technology, right? Well, in many aspects, yes. But knowing how to use Email to advance your business, especially your online marketing, is really key. If you follow the advice in this article when using Email, you will make surprisingly great strides in increasing your profitable use of online technology. Never use challenge/response spam filters for email addresses you use to promote your business. This includes email addresses that you advertise on your website for guests or prospective customers to contact, as well as emails you submit for online services, like booking services. We’re not saying that spam is not a problem, or that you should ignore it. But, consider what a challenge/response spam filter does. Every time someone new emails you, they receive an automated message requiring them to go to a specific webpage and type a code on the page. Unless they successfully complete this step, you never receive their email. Now consider that guests are finding your website, and emailing you to make reservations (in other words, unsolicited people are contacting you with the voluntary intention to pay you money). Your system then sends them an automated message requiring them to complete some basic copying and typing exercise. You are guaranteed to lose interest from at least 50% of the people who are trying to contact you, and 25% never receive your automated message due to their own spam filters. Of those that receive your automated message, most will just ignore it and move on to book at your competitor’s lodging. So here’s the basic rule on spam filters: use simple spam fighting tools that will not discard your emails or require senders to complete challenge-responses. The best method is to have your filter send suspected spam to a separate folder which you can periodically scan for any important missed mail. This may only take minutes a week, but can save you a tremendous amount of lost business. Oh, and one final tip. Don’t use emails with challenge/response filters when you join online booking services or other online marketing services. The whole process will break down as soon as the service’s system tries to send you important notifications about your membership, including passwords, instructions, etc. Never use free email services (e.g., hotmail, yahoo, gmail, aol, msn, et. al.) for your business’ primary online identity. Nothing shouts “amateur” or “unprofessional” louder than when a guest or business partner receives an email from joes_BandB@aol.com or marys_hotel@hotmail.com. Most travelers searching for travel and tourism online have become quite savvy. When a guest or business partner emails you about how your payments work, or potentially sending you money as a deposit, they want to know that you have the credibility and expertise to handle the transaction. Guests will not want to send money to someone who identifies themself as joes_BandB@aol.com. They will also be questioning how professional or well-run your establishment is, if your email communication is not up to the most professional standards. Presumably, you have a website to advertise your property. It’s best if your website has a private domain (e.g., http://www.yourdomain dot com). If so, then the appropriate email to use will look something like info@yourdomain.com. The additional cost of hosting email on your private domain is minimal. Don’t send confidential personal information in email. This especially includes guest credit card information. While the risk of fraud from some hacker intercepting your emails is relatively low, your guests will appreciate your high security standards when dealing with their personal information. Again, your standards and courtesy when dealing with online communications will reflect your guests’ opinions of how well you run your hotel, hostel, or B&B. Ignoring guest privacy and security when sending or replying to emails, and you are likely to make some of your patrons very upset. As a tip, if you find yourself in the situation of absolutely needing to send a credit card number by email, simply split the number in two parts, and send two emails. This will provide an adequate level of security for your recipient. Don’t use autoresponders. Unless you have to direct senders of email to an alternate means of communication, or tell them that you will not be able to respond to their email in a timely fashion, autoresponders should not be used. This means don’t use autoresponders like the ones that tell your guests that you’ll get back to them soon, or will read their email within 24 hours. With the ubiquitous nature of email today, it is practically understood that, if you use email for your business, you will be reading it and responding soon. If you do not, the sender will be communicating sooner with your competitors, and you’ll lose their business anyway. Autoresponders are also likely to be eaten by the sender’s spam filter, and may even get your email address blocked by their email system. By removing your autoresponders, you will also help reduce the overabundance of unnecessary electronic transmissions around the globe, and likely contribute to a greener Earth. Think of it this way: if an emailer wants to absolutely know that you have read their email, then they will use the return-receipt option when they click send. Never use slang or crude language in an email. Like everyone else, you’re going to encounter some not so pleasant discourses on email. Just think of that disgruntled guest. The one who could never be satisfied. Some people just need to complain about everything. Remember to always maintain composure when writing emails, and pay attention to cultural diversity. Avoid responding to threats or profane communications. An email is a written record that can be stored indefinitely, and transmitted effortlessly to a multitude of recipients. Do use automatic signatures. An email signature is an automatic footer that will be used on all email you send. When you reply to guests and business partners, you can include your name, address, phone numbers, and some alternate means of communications. This is an unbelievably simple yet effective way to save time, and give your patrons alternate means of communicating with you. As a tip, consider including a link in your email signatures to your online booking page. This will maximize your opportunities for new reservations. Do use private domain emails. After reading point #2 under Email Don’ts, you know that your email identity goes a long way in establishing your professional credibility. Always use private domains to host your email (e.g., like info@yourdomain.com). This will speak volumes to your email recipients, that you had the foresight and knowledge to spend the $50.00 or so per year that it might cost to host private domain email for your business. Do use spam filtering tools, but, use them wisely. As we already said, spam is a problem no one can ignore. But, if you’re going to use spam fighting technology, make sure you understand how it works. Otherwise, you’re better off turning it off altogether. Your goal is to use Email wisely to enhance and grow your business online. This means you don’t want to miss out on 50% of the prospective business that comes your way through email. Use spam filters blindly, and your will lose that 50%. We recommend using a decent spam filter on a “medium” setting. This means that you will block out most of the obvious spam, while not blocking too much desired email. Also make sure your spam filter simply transfers suspected spam into a special folder, and doesn’t delete it. This way you can spend a few minutes each week scanning your spam folder, and pulling out the important emails you missed, while discarding the rest. Again, don’t obsess over every email you receive or lose as spam. Email is supposed to make your life easier, not more difficult. Whether you operate a hotel, youth hostel, or bed and breakfast, if you practise these simple tips when using Email for your business, you are likely to experience a growth in your online marketing efforts. This translates to an easy increase in profits from a relatively simple and low-cost technology. For more tips and services for your online marketing effort, check out www.InstantWorldBooking.com. Want to make sure you’re able to receive emails from important senders? Check out how to add email addresses to your Safe Senders List. Welcome to InstantWorldBooking.com’s Hotel and Hostel Marketing Experts Blog. Here, our renowned contributing travel and tourism writers will bring you the latest intelligence for running and marketing your hotel, youth hostel, or bed and breakfast. You will find indispensible advice and guidance on marketing your property online. At Instant World Booking, we lead in services that increase the security and convenience of online booking for both guests and lodgings. Through our central service website, InstantWorldBooking.com, over three dozen additional network websites, an extensive affiliate program, and services for hotel-owned websites, we lead with excellence, offering one of the best and most reliable online reservation services available anywhere in the world today. Along the way, we’ve also discovered excellent travel advice and recommendations from our travel partners far and wide. We’ll also share this intelligence with you in the hopes you will pass it on to your valued guests and customers. We welcome your comments and opinions, so please feel free to share back with us. Happy Blogging!